The year of 2018, that has just passed is destined to be a hard year for pesticide industry practitioners. According to statistical data of Phillips McDougall, the global pesticide market has been quite weak in its growth. In 2017, the global pesticide sales reached $61.530 billion, 2.6% up year on year, of which non crop application-oriented pesticide sales was $7.311 billion, 2.9% up year on year. Under the background of the world-wide weak economy, the global pesticide market remained slow in 2018. 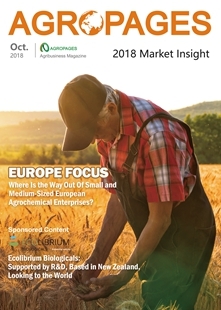 Looking back at the past 2018, there were world-wide decreases of registrations and releases of new pesticide varieties while a number of old varieties were put under dispute such as dicamba, neonicotinoid insecticides and chlorpyrifos. In this article, a few of keywords are chosen as examples to elaborate several major events in the pesticide industry of 2018. On the 31st October 2018, U.S. EPA announced extension of registration of dicamba up to 20th December 2020, which finally gives the controversial dicamba a breathing space. Dicamba was created by Velsicol Chemical Corporation of the US in 1961, being an excellent post-seedling herbicide for graminaceous crops, with selectivity and systemicity used for control of more than 200 kinds of broadleaf weeds, mainly for applications in North America. As the weed resistance has been growing over recent years, the “novel traits + herbicide” application method to cotton and soybean has emerged accordingly. The novel traits allow for direct spraying of dicamba to crops without any harm, which can eradicate resistant weeds. However, the high volatility of dicamba especially under high temperature condition may cause dicamba to drift, which leads to damages to crops that are not resistant to dicamba. It is for this reason that dicamba has suffered repeated setbacks in the US over the last two years. In 2017, Arkansas State Plant Board received nearly 1,000 complaints against dicamba. As a response, Arkansas State Plant Board implemented a temporary solution to ban the sale and use of dicamba. In the same year, complaints were also lodged in Mississippi, Missouri, North Dakota and Tennessee on damages to crops caused by dicamba. Farmers requested temporary prohibition of dicamba before protective measures are put in place to prevent the damages from dicamba. Since then, voices requesting prohibition of sale and use of dicamba have never stopped. All states of the US have approved restrictions of the use of dicamba, thus the product has become very uncertain in the future. Nevertheless, the extension of registration of dicamba in the US on the one hand shows the existence of the problems but on the other hand reveals an acknowledgement of dicamba as an important crop protection tool which is nowadays not irreplaceable. After USEPA’s announcement of extension of registration of dicamba, Bayer, Syngenta and Corteva Agriscience that are the main players of dicamba have expressed their intentions to lay stress on various training activities to help dicamba users to better follow provisions of the labels so as to maximize the potential risk during the use of dicamba. Both government and industries have not tried to evade from the applications of dicamba, this gives us confidence in the development of dicamba in the US. In the 21st century, the “GMO traits + herbicide” application method has become the mainstream of prevention and control of resistant weeds, as well as a future trend of development of dicamba. Pessimistically, in case that registration of dicamba will not be further granted after its expiration in 2020, dicamba will still have its great market potentials in the GM crop market of South America. For now, what dicamba vendors can do is to continue to make effort on development of formulation products to get ready to cope with any changes and chances. Since EU’s strict restriction from 2013 of the use of the three neonicotinoid insecticides - clothianidin, thiamethoxam and imidacloprid, there have been always speculations that neonicotinoid insecticides might be banned in EU, which has finally come true in 2018. In April 2018, EU passed a resolution by vote to ban the outdoor use of clothianidin, thiamethoxam and imidacloprid, which are allowed to be used only in permanent greenhouse not in contact with honeybees. Among the EU member states, UK took the lead in an action to designate the use of the three neonicotinoid insecticides only in greenhouse and to ban the use of the three products in outdoor environment as of 19th December 2018 including the use as seed treatment. From the 1st September 2018, France banned the sale and use of five neonicotinoid insecticides (clothianidin, imidacloprid, thiamethoxam, thiacloprid and acetamiprid), having become the first EU country to ban the use of neonicotinoid insecticides. Hence, the fate of neonicotinoid insecticides in EU becomes uncertain. 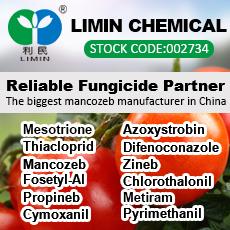 Neonicotinoid insecticide has a novel and distinctive action mode, which enables the product, immediately after market launch, to become a fastest growing and most successful insecticide variety with highest level of activity. However, the dispute on its toxicity to honeybees never stops. For many years, scientists have been collecting evidences of the toxicity of neonicotinoid insecticide to honeybees. Articles published on Nature and Science over recent years have revealed that neonicotinoid insecticide will indeed cause damage to the living environment of honeybees and wild bees, this provides neonicotinoid insecticide opponents with a theoretic support. It is widely known that EU has imposed extremely strict rules, governing all aspects of pesticide applications. In view of the available evidences which have proved the toxicity of neonicotinoid insecticide, while bearing in mind that supporters are unable to give a refute with theoretic support, it can be imagined that a complete prohibition of the use of neonicotinoid insecticides in Europe is just a matter of time. With worldwide fast-growing organic farming over recent years, organic farming-oriented planting area is increasing year by year. According to statistical data, the global land area managed under organic farming has exceeded 22 million hectares. Organic product market is not only growing in Europe and North America (world’s largest organic market), but is also growing in other countries including developing countries. However, existing organic farming is found in its predicament – very limited bioherbicides are available. At present, bioherbicides available to organic farming are nothing more than non-selective greases and fats such as nonanoic acid. These products are usually re-used, lacking residual activity. 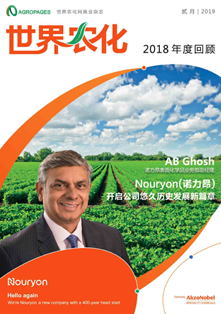 Therefore the market is eager to have an excellent herbicide, which will be sure to have great potentials in the future. In 1981, Devine was registered in the US as the first bioherbicide. Devine is a suspension concentrate of chlamydospore based on Ppalmivora pathogenic strain in Florida, used for control of morrenia odorata with above 90% effectiveness and 2-year long-lasting effect, being widely applied to control of weeds in orange orchard. Over the last dozens of years, there has been not a single release of new bioherbicide, which is a long time since the release of the first bioherbicide. However just in 2018, the US biopesticide company Marrone Bio Innovations (MBI) filed to US EPA the new bioherbicide MBI-014, which is highly expected by the market. 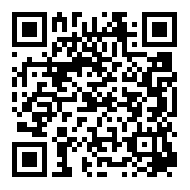 According to information, MBI-014 is a water dispersible microbial herbicide made of novel thermal inactivated Burkholderia rinojensis (strain A396). The product has a brand new action mode, which is capable of post-emergence control of resistant weeds particularly amaranthus. So far, MBI is still making study on the dosage, adjuvant and herbicidal spectrum related to the application of MBI-014. According to the normal timeline of biopesticide registration process in the US, the product can be expected for market release in around 2020. As is seen from the active ingredient and the process of product development, the implication is that the focus on future bioherbicide development may be shifted to weed’s pathogenic bacteria, which are separated, purified and nurtured in lab, and then inoculated to the original weeds, thus to get monomitic strain by gravity separation technique. In the future, it is foreseen that there will be availability of more and more bioherbicides. It is commonly recognized among the industry that development of new chemical active ingredients is becoming more and more difficult. 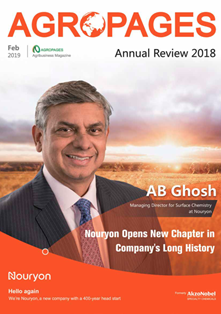 By making a general review of the global pesticide market over recent years, it is noted that the several multinationals headed by Syngenta have somewhat slowed down releases of new compound and instead have focused more on expeditions of new formulas and new application techniques. In 2018, speaking of new pesticide compound, what must be addressed is the insecticide Afidopyropen launched by BASF. In April 2018, Afidopyropen was granted registration in Australia in the trade name of Versys®, which is the first-time registration of the compound in the world, kicking off its first show to the world. Soon after that, registrations were granted in Indian and the US. 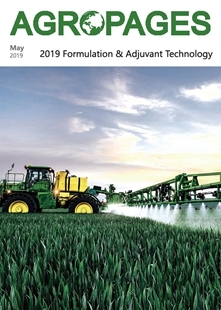 Now BASF has announced that the compound will be released to China in 2019, which is expected to open a new era of prevention and control of piercing-sucking pests. Afidopyropen is a biological insecticide developed jointly by Meiji Seika Kaisha and Kitasato Institute. The product has a unique chemical structure and action mechanism, having been added to IRAC as the first one of 9D Group as well as the only insecticidal ingredient of the 9D Group. As such, Afidopyropen has no cross resistance to the existing insecticides on the market. As a brand new tool for control of piercing-sucking pests, Afidopyropen provides growers with a rotational option for control of piercing-sucking pests such as aphids particularly for control of resistant pests. It is understood that Afidopyropen is so far the safest compound, which is low toxic to honeybees. Therefore under circumstances of possible complete prohibition of neonicotinoid insecticides in EU, the market potential of Afidopyropen should not be underestimated. Furthermore, BASF’s other created fungicide mefentrifluconazole (trade name Revysol®) was put into production in its Hannibal factory, Missouri at the end of 2018, preparing for the world-wide release of mefentrifluconazole. Mefentrifluconazole is the first novel IPA triazole fungicide discovered, developed and released by BASF, which fills up the gap of zero release of a new triazole fungicide over the last 10 odd years, being expected to become BASF’s blockbuster fungicide towards a sale of 1 billion euros. Up to date, BASF has filed registrations with some 60 countries across Europe, Asia and America covering applications to over 40 crops. 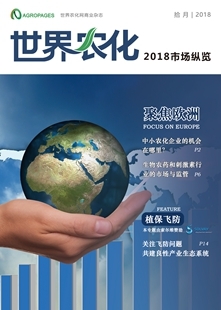 The product is expected for release to global market in 2019. 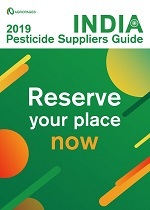 Looking into 2019, the global pesticide market will still face adjustment and regulation. The release of new compound will still remain declined, new formulations and new application techniques will still be the orientation of research and development by pesticide enterprises. The fate of conventional chemical pesticides such as chlorpyrifos and acephate will still remain uncertain. And uncertainty lies everywhere.